Welcome to the Development Tools page. 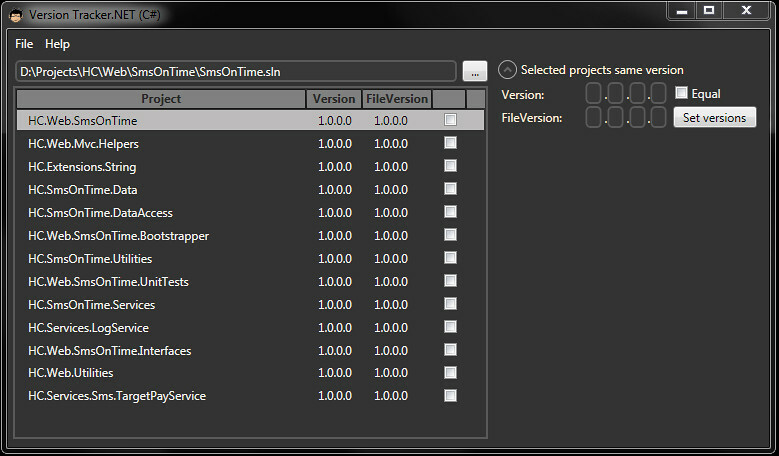 This week I created Version Tracker.NET, a tool written with WPF that makes managing versions of projects in a C# Solution easier. You will need .NET Framework 3.5 SP1 to run Version Tracker.NET. You can install it through ClickOnce installment or simply download the install. Pick the ClickOnce deployment version if you always want the latest version, ClickOnce will tell you when a new version is available, pick the setup download if you do not need the latest version as soon as it is available and these features are all you need. This version (v 1.0) is free for download, if you want the sourcecode drop me a line, you are free to use it, but you must mention me as the original author.